Oelrich says he's humbled by the honor: "There are so many more folks doing amazing things." When someone is called a philanthropist, you might expect that person to exhibit certain qualities. Humility, perhaps. Hopefully, they would have a passion for community issues. And ultimately, you'd want them to have a willingness to collaborate with others to achieve a common goal. Immediately after being notified that he was voted Best Philanthropist, Ryan Oelrich's response tells why people thought of him for the designation. "I guess I feel honored, although I also think it's important to share the spotlight," Oelrich says. "And there are so many more folks doing amazing things. But I feel very honored and appreciate it, definitely." He goes on to mention the local chapter of Volunteers of America for their work with at-risk youth. "I've always had a heart for our youth," he says. Then he mentions the arts community in Spokane, and all the "wonderful" artists who work so hard and don't get paid much. Oelrich is the executive director of Priority Spokane, an organization currently trying to stabilize the lives of homeless families and children. 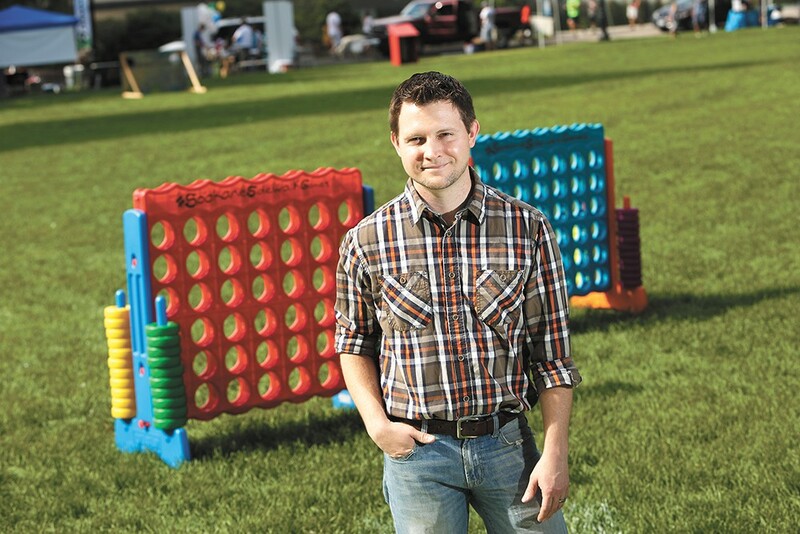 He's chair of the Spokane Homeless Coalition, and project coordinator for Spokane Sidewalk Games, which is staffed by homeless kids and brings strangers together to play giant versions of board games. His Spokane roots began more than a decade ago, when he went to college at Whitworth and then finished up at Gonzaga. He's been a part of various community projects since; now, his work is being recognized. Last year, he won the Inlander's Peirone Prize, which honors locals who make a difference in the community. At the time, he said he thought community organizations could do a better job to work together to tackle issues facing the community. Already, he says, that's happening. "I think we're getting better and better, and that really excites me," Oelrich says. "I'm only involved in little pockets in the community, but I just continue to see how organizations are continuing to collaborate and work together better, and that really encourages me." He says he's had opportunities in other cities, but he's happy to stay right here. "I think Spokane has been good to my partner and I, and I don't feel we're done here yet," he says. "I still feel Spokane provides us an opportunity to make a difference, and utilize our skills and talents, and invest time and energy here, and Spokane has supported us in our crazy-but-fun endeavors."